Nationwide, women own an estimated 11.6 million businesses employing nearly 9 million people and generating nearly $1.7 trillion in revenues. More than 300,000 women small business owners live in Ohio, providing local jobs and economic stability through their small businesses. The SBA helps women entrepreneurs launch new businesses and compete in the marketplace. Connect with training and funding opportunities specifically for women at: sba.gov/women. In Ohio, women interested in starting a small business can access the Women's Business Centers of Ohio. With offices in Cleveland and Columbus, the WBC provides business coaching, mentoring, one-on-one counseling, workshop programs, networking opportunities and more! Angela Petro’s self-described weaknesses of non-conformity and questioning the status quo became her biggest strengths when she began the path to small business ownership. After working for a hospitality business for a short time, she and a friend struck out into the catering industry, with their small business, Two Caterers. 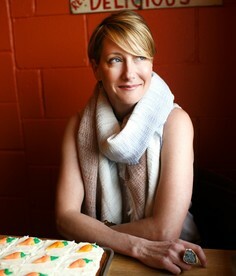 That small business fulfilled Angela’s desire to become her own boss and, with the help of the U.S. Small Business Administration’s 504 and 7(a) loan programs, she has been in the catering business for 20 years, and branched out into opening her own local restaurant chain, Sweet Carrot. 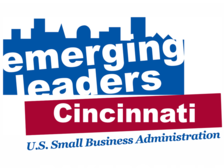 Cincinnati Small Business Owners, ACCELERATE Your Business Growth With SBA's Emerging Leaders Program! Developed by SBA and drawing on the experiences of advisors and business leaders in urban communities across the country, this comprehensive curriculum provides the tools to catapult your company to the next level and help it emerge as a force in your community.